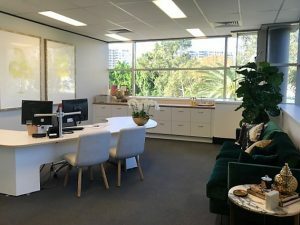 Spencer Travel has relocated from the office space it has inhabited in Sydney’s inner city since 1998, moving to new offices in Mascot over the weekend. 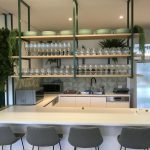 “Our new offices reflect the kind of business we are now”, says Penny Spencer – Managing Director and Founder of the Spencer Group of Companies. “We have grown and evolved dramatically in recent years, and the business needed a new space to call its own. So we’ve left Sydney’s fashion district and relocated to something truly glamorous”, continued Penny. Spencer Travel’s new, larger offices are located just 10km from the CBD at Heritage Business Park, Ricketty Street, Mascot. 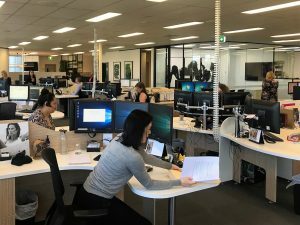 “Office relocations are an exercise in precision logistics, and we’re delighted to advise that ours was completed without a hitch”, said Spencer Travel’s General Manager, Tina Killeen. With hotel style bathrooms, a cafe-style breakout space for staff, multiple meeting rooms and dedicated quiet-rooms, Spencer Travel is ready for a new era to the business. “As we enter a new era for Spencer Travel, we bring with us so many great memories of a business journey that I never could have imagined when our doors first opened”, says Penny.